Iconic designer Michael Kors is one of the top names in Americanfashion, with fashion forward styles and bold designs. 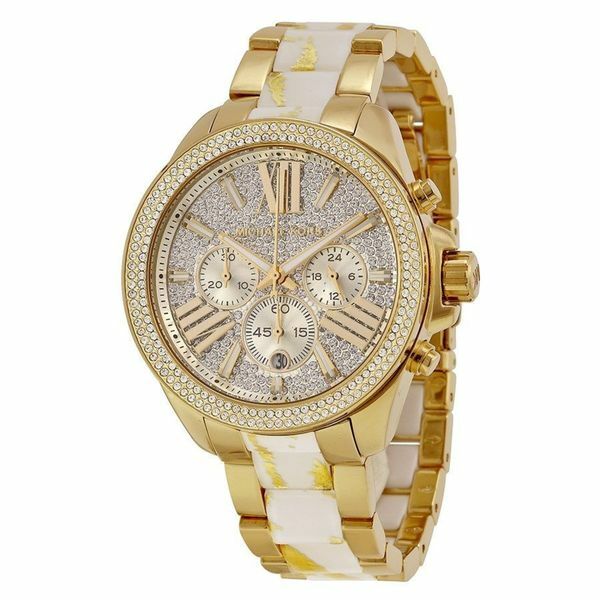 This women'swatch from the Wren collection features a gold-tone stainless steelbracelet and gold-tone chronograph crystal dial. The purse didn't last very long until it got a hole in the bottom.